The job placement rate for 2017 Paul College graduates seeking employment was 92 percent within three months of graduation. The University of New Hampshire Peter T. Paul College of Business and Economics has been ranked as one of the nation’s best undergraduate business schools by Poets&Quants for Undergrads. Paul College placed 69th nationally in Poets&Quants 2017 Best Undergraduate Business Schools, the second annual ranking by the leading online publication for undergraduate business education news. This recent ranking is the latest in a series of accolades for Paul College. 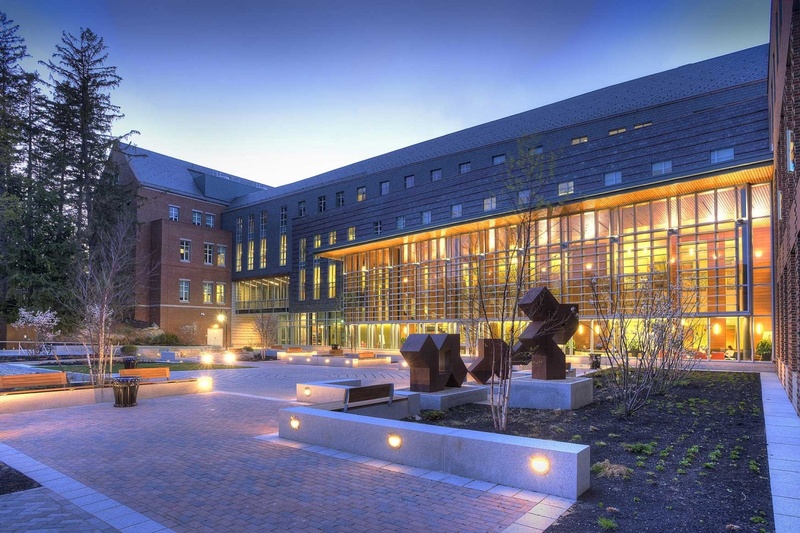 In 2016, it was named one of the top 100 undergraduate business schools by Bloomberg Businessweek, the last year the publication conducted the ranking. In 2017 both the online and part-time MBA programs were ranked among the top 100 nationally and No.1 in northern New England. Poets&Quants for Undergrads compiled the 2017 exclusive ranking based on a representative survey of 6,288 recent graduates and school-reported data. “This is the most thorough data-driven study of undergraduate business education ever undertaken," says John A. Byrne, founder and editor-in-chief of Poets&Quants for Undergrads. The Poets&Quants methodology for ranking schools, developed in collaboration with business school deans and administrators, puts equal emphasis on admissions standards, the total student experience and job and starting pay outcomes. In all three areas Paul College stands out. Building on the strong foundation of its predecessor, the Whittemore School of Business and Economics, Paul College has seen student interest in its programs soar since it opened its doors in 2013. Undergraduate enrollment has grown by 32 percent and the number of undergraduate degrees granted has increased by 49 percent. While numbers have risen, the selectivity and academic quality of accepted students also has increased. Put yourself here at the Peter T. Paul College of Business and Economics at the University of New Hampshire. For the past three years Paul College has prioritized strengthening experiential, or applied, learning for its students. With this focus it has broadened opportunities for students to engage with alumni and other business professionals to learn about a range of industries and career paths, as well as connect their knowledge and skills more concretely with the “real world." It has paid off. The job placement rate for 2017 Paul College graduates seeking employment was 92 percent within three months of graduation, with total compensation packages averaging $50,114. In addition to the ranking on Dec. 5, Poets&Quants will publish school profiles, as well as separate articles on the compensation packages of the latest graduates, the acceptance rates for each specific business school, and the new employment stats based on alumni. Paul College’s profile can be viewed here. For more information, visit paulcollege.unh.edu.